I Love You, America is a 30 minute variety comedy television series, which kicked off on October 12, 2017, on Hulu and is broadcast every Thursday at 18:00. The show is currently in its 1st season. Hulu has officially confirmed the renewal of I Love You, America for Season 2. The exact release date is yet to be announced so far. Sign up to track it down. 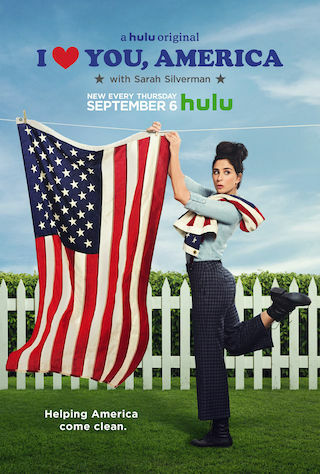 Hulu has ordered 11 episodes of I Love You, America with Sarah Silverman to return on September 6th, 2018. This season of the hit variety series will return just in time for some seriously funny conversation around the midterm elections.